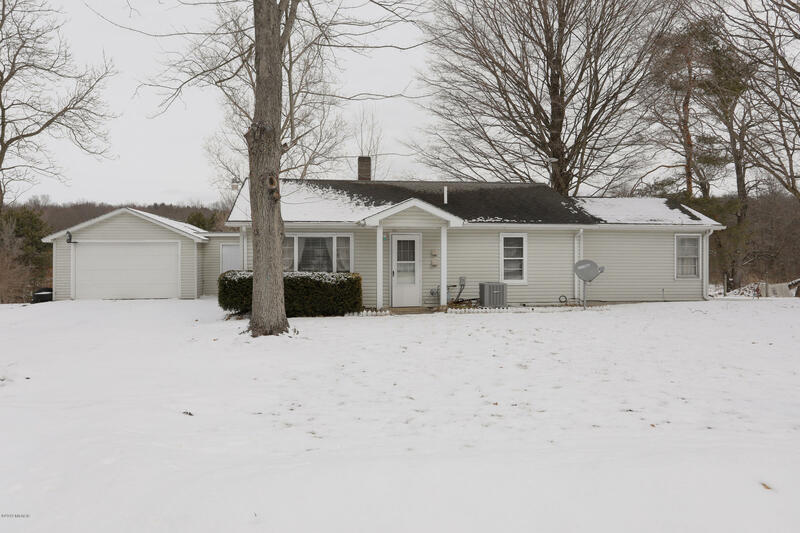 Adorable 3 bedroom, 1 bathroom home on 2.75 Acres in the country. Breezeway is 8' x 23' and connects to the 1.5 car garage keeping you warm and dry while unloading groceries. Updates include: New heating system 2013, New roof shingles with shingles stripped 2003, New well pump 2003, vinyl siding 2001, Electrical system updated to 100 Amp 1998, Additional attic insulation in 1998 and Natural Gas connected to home 1998. The 10 x 16 Shed with Lean-to has electric so it will make a nice workshop, man cave, or she shed!